Nate sometimes finds the dishes I make myself "interesting". He calls them "Cassandra meals" and I only usually make them when I'm cooking for just myself. However, every once in awhile I get a weird dinner idea in my head and I make it for both of us. And sometimes, Nate actually likes it! 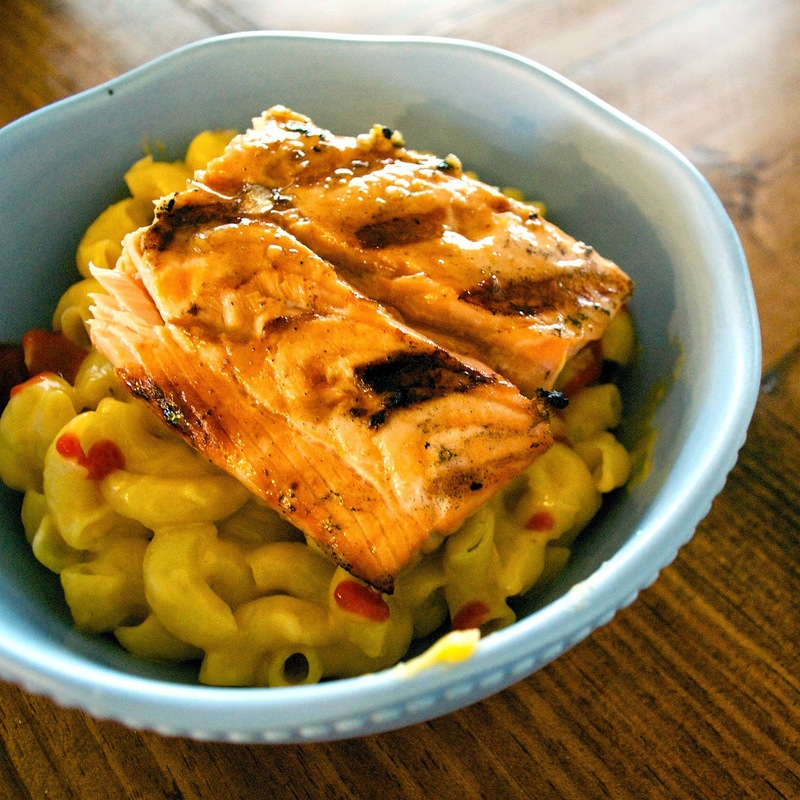 So, if you are craving something new with your mac and cheese, try topping it with a little Sirracha and grilled teriyaki salmon... you won't be disappointed... it's been Nate approved. 1. Butter Chicken by Edible Garden. I used coconut cream and nixed the dried fenugreek leaves since I couldn't find any and it came out pretty great! 2. Inspiralized wins the award of longest recipe title ever and the salad earns the name. This is a really great dish if you are in the mood for a salad but are burnt out on traditional salads. 3. We love using our slow cooker and we loved the idea of these Chicken Gyros by Six Sisters' Stuff. At least with our slow cooker, we needed some more liquid because the chicken was a little dry but the flavor was great so we'll give it another go.